Get the most out of your Design Sprint with an Iteration Sprint. 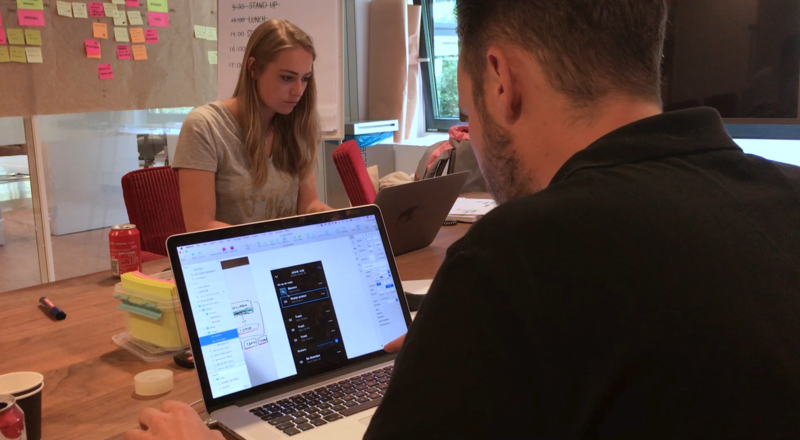 Get the most out of your design sprints with the help of an Iteration Sprint. The iteration Sprint week is a 4-day process for improving and refining the design sprint prototype. It builds on the momentum of the Design Sprint. The iteration sprint helps the team to incorporate all the user insights, get the details right and fix any shortcuts they may have taken during the first week. Why use a Iteration Sprint? By the end of a Design Sprint you have learned a lot. Maybe you found a product-solution fit for your product or validated a user need. Or the opposite, you invalidated some assumptions and want to make changes to move in the right direction. Whatever it is, you want to take action based on what you learned in the Design Sprint. The Iteration Sprint helps you do exactly that. It helps you iterate on the insights, validate them again with real users and prepare the handover to the next team, likely a digital production team. What does an iteration sprint look like? On day 1 the team comes together and prioritises the feedback with the help of an impact/effort matrix. They decide how to solve the problems and use some quick ideation techniques to start iterating on the solution. On day 2 we refine and update the prototype. On day 3 we test the prototype again with real users. Day 4 is about creating actions from the feedback and about building up a product roadmap. Storymapping session of the product backlog, based on the findings of a design sprint. By doing an iteration sprint, you will end up with a much more relevant product. You can say with more clarity that a proposed solution is the way forward and already made the necessary changes to the prototype to move in that direction. At the end of the iteration sprint week you will have a refined and polished prototype, that is tested with real users twice. You have set up a product backlog, so the digital production team can start working on the delivery of the product. Next to that, you get a slidedeck with the documented process and user insights we learned in the past 2 weeks.